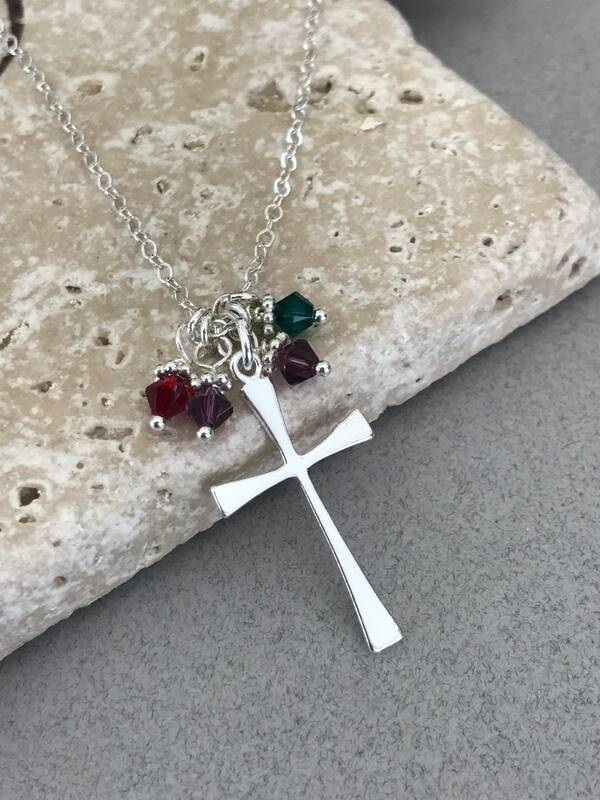 ♥ - Sterling Silver Classic Cross 30mm. 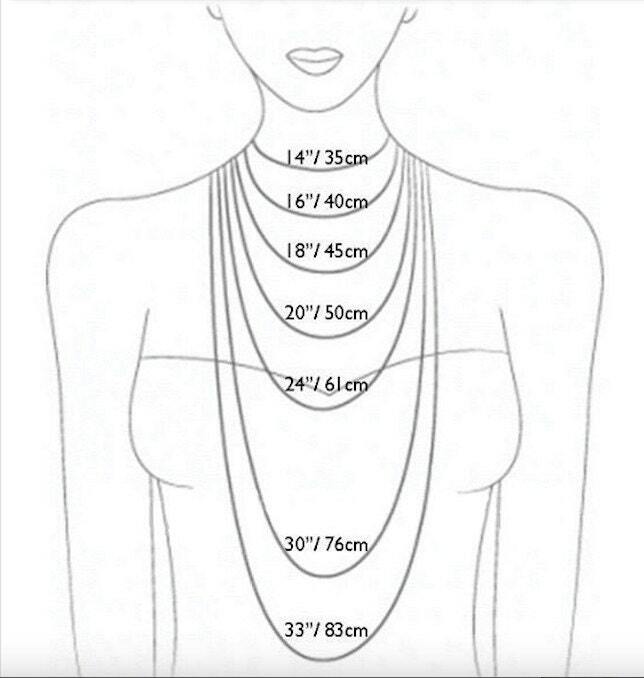 ♥ - Swarovski Crystal Bicone Birthstones with Sterling Fixings. 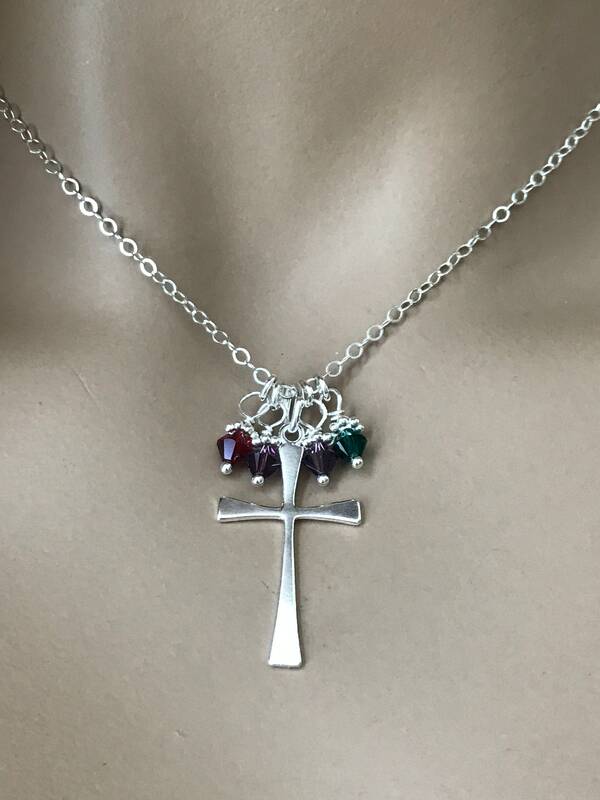 Beautiful sterling silver cross adorned with Swarovski birthstones of your choice. 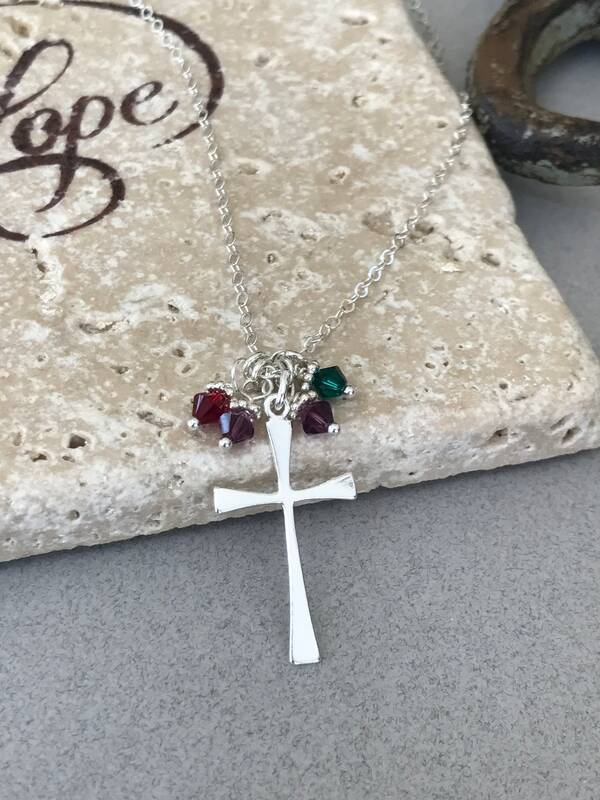 You can order the cross alone or with 1-6 birthstone charms. 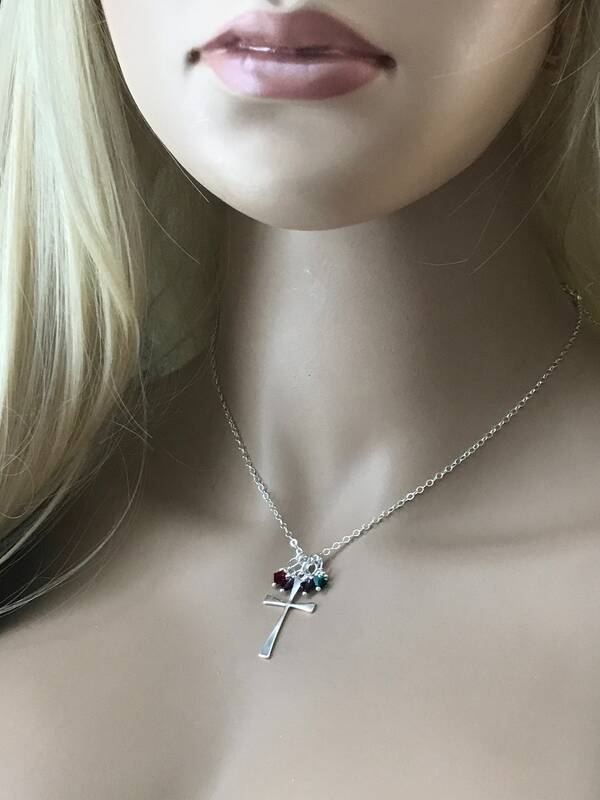 The Swarovski crystals just lay perfectly along side of the cross. 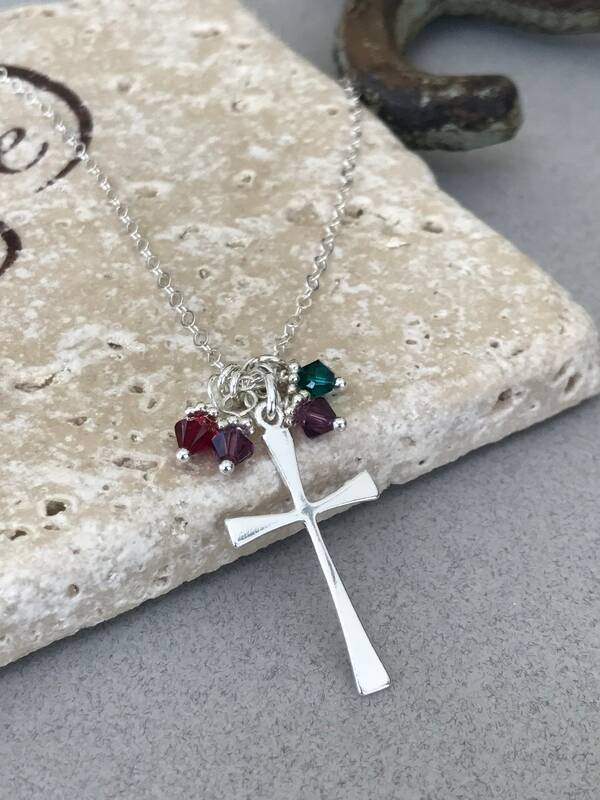 ~If you would like to order it with several birthstones, please message me first to be sure all birthstones are available.